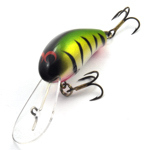 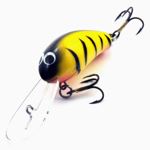 The Oar-Gee Lures Wee-Pee is a round bodied lure ideal for casting and trolling. 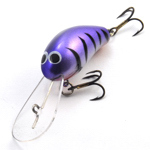 Target species is , Bass, Bream and other small mouthed fish. 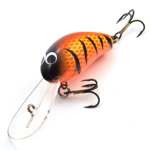 The shape of the tail of this lure allows for better hook ups on fish such as Bream as they generally chase the lure from behind and have a small mouth compared to the rest of their body. An excellent casting lure, as the weight is in the body and not in a thick moulded bib which tends to enter the water fist and causes the line to tangle up in the trebles. 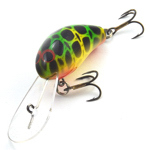 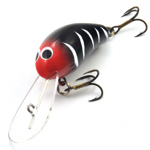 The weight is 8 grams and comes standard with VMC 9632BZ size 6 trebles and 3H split rings. 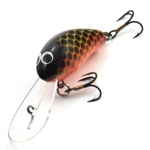 Capable of reaching depths of 3.6 meters on the troll, it is also a very good lure for casting snaggy water, with its large bib getting the lure down quickly it also offers protection for the hooks, while positive buoyancy gives it excellent back up capabilities. 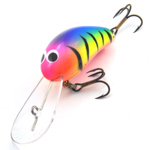 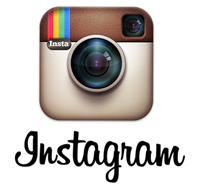 Tiger Lures Wants you the fisherman, to please send in pictures and comments.